B.S. Houston Art Blog: This A/V Swap is Here! This A/V Swap is Here! This fall The A/V Swap is back with a bigger and badder group of films, this time from both Texas and New York! 34 films by Houston artists and musicians will screen at 8 pm, Saturday, August 29nd at Rice Media Center in our The Good, the Bad and the Dirty show. For our second screening Friday, September 18th at 8 pm, The A/V Swap presents the Best Of 2009, a selection of collaborations from Houston, Austin, Buffalo, New York and New York City created this summer. Both screenings will start with artist's receptions at 7:30 pm and the Best Of 2009 screening will conclude a Q & A with participating filmmakers and musicians. This is the 6th annual A/V Swap, and we are glad to bring you more of the emerging filmmakers, aspiring composers, established artists and soulful songwriters that have made the swap a success in the past. The way the A/V Swap works is quite simple and intuitive. A/V Swap projects are collaborations that begin with a film or song that is traded between artists to complete; we hope to provide a forum where artists can showcase their talents by manipulating audio and video they would never otherwise encounter. In this "swap" we anonymously pair composers and filmmakers, hoping to expand their creative horizons. This year's Houston artists include Ahmad Squad, Bexar, Chin Xaou Ti Won, Jody Cochran, David Courtney, Face and Russ Kuhner, Fumblz Fingerz-Nacha, Justin Giardina, Scott Gordon, Philip Hays, Chuck Ivy, Kanude, Travis Kerschen, David Lowy, Shawna Mouser, Ron Ochoa, Sharad Patel and Andrew Edison, Phara, PR!MO, Patrick Renner, Michael Rodriguez, Stephanie Saint Sanchez, Aimey Stinchcomb, Everett Taasevigen, The Art Guys, Thousands, Eric Todd, Vanessa Voss, Ramon West, Able Windham and Ruben Ybarra. Over thirty more artists from New York and Texas participated in this year's swap. The A/V Swap was born in 2004 to give artists an outlet to create innovative works that enrich Houston's cultural diversity- and the A/V Swap has grown exponentially in the last six years. Inspired by a love of film and desire to form an artistic community, the A/V Swap was born and has now expanded to include four cities. Landmark Theaters hosted the A/V Swap in 2004 and 2005, a bootleg event at the now defunct Landmark Greenway Plaza, with beer and cigarettes in the theater after midnight. The event grew to demand a larger venue and premiered at the Museum of Fine Arts Houston in 2006 to a crowd of more than 350 Houstonians, becoming the most successful local film screening in MFAH history. 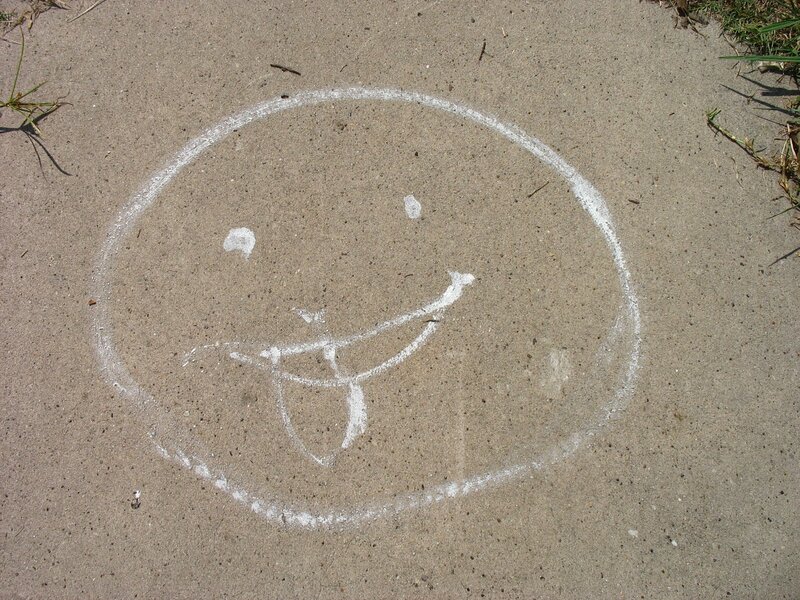 Through the success of the first two years of the swap, an increasing number of artists submitted their work. In 2007, the 4th A/V Swap was held at the Angelika Houston and a midnight viewing at the River Oaks Landmark Theatre. 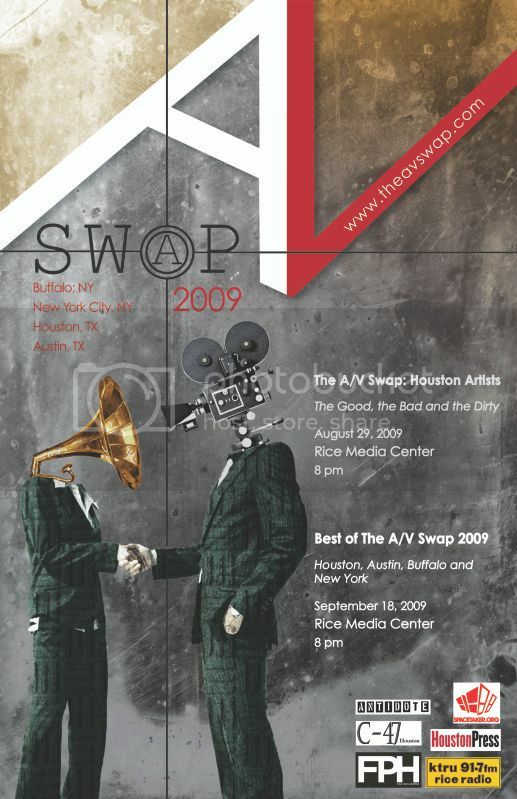 For the A/V Swap 2008, we were invited by the Houston Downtown Alliance to participate in Houston Theater District Day. Many thanks go out to Houston's dedication to support for the arts. This year the A/V Swap is proud to be screening films at the Rice Media Center, founded in 1969 by Dominique de Menil and an evolving haven for experimental film for 40 years. Many inspired events have happen at Rice Media Center; Andy Warhol premiered Lonesome Cowboys, Dennis Hooper performed the Russian Dynamite Death Chair Act and Spike Lee was hosted for a screening of Do The Right Thing followed by a "spirited debate" with the crowd. The founders' intent was that the Media Center provide a channel through which different peoples of the world could communicate- and for four decades it has lived up to their vision. The A/V Swap is pleased to be working with another exemplary innovator to bring you this event, KTRU, Rice Radio. Oh, Did I Forget That?